The main article for this category is List of missions to Mars. Wikimedia Commons has media related to Missions to Mars. Pages in category "Missions to Mars"
Media in category "Missions to Mars"
During the interplanetary cruise phase, communication with the spacecraft was lost on August 21,1993,3 days prior to orbital insertion. Attempts to re-establish communication with the spacecraft were unsuccessful, in 1984, a high priority mission to Mars was set forth by the Solar System Exploration Committee. Then titled the Mars Geoscience/Climatology Orbiter, the Martian orbiter was planned to expand on the vast information already gathered by the Viking program, Mars Observer was originally planned to be launched in 1990 by a Space Shuttle Orbiter. The possibility for a rocket to be used was suggested. On March 12,1987, the mission was rescheduled for launch in 1992, along with a launch delay, budget overruns necessitated the elimination of two instruments to meet the 1992 planned launch. As the development matured, the science objectives were finalized as. Define globally the topography and gravitational field, establish the nature of the Martian magnetic field. Determine the temporal and spatial distribution, abundance and sinks of volatiles, explore the structure and circulation of the atmosphere. The programs total cost is estimated at $813 million, the Mars Observer spacecraft had a mass of 1,018 kilograms, its bus measured 1.1 meters tall,2.2 meters wide, and 1.6 meters deep. The spacecraft was based on previous designs, originally intended and developed to orbit Earth. The RCA Satcom Ku-band satellite design was used extensively for the bus, thermal protection. Other elements such as the bipropellant components and high-gain antenna were designed specifically for the mission, the spacecraft was three-axis stabilized with four reaction wheels and twenty-four thrusters with 1346-kilograms of propellant. Of the hydrazine thrusters, eight provide 4.5 newtons to control orbit trim maneuvers, another eight provide 0.9 newtons for offsetting, or desaturating, the reaction wheels. To determine the orientation of the spacecraft, a sensor, a 6-slit star scanner. When broadcasting to the Deep Space Network, a maximum of 10.66 kilobytes/second could be achieved while the spacecraft could receive commands at a maximum bandwidth of 62. 5-bytes/second. Malin Space Science Systems is a San Diego, California company that designs and operates instruments to fly on unmanned spacecraft. 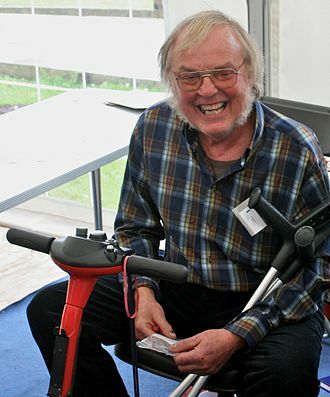 MSSS is headed by chief scientist and CEO Michael C, founded in 1990, their first mission was the failed 1993 Mars Observer for which they developed and operated the Mars Observer Camera Ground Data System. After this mission they were selected to provide the main camera for Mars Global Surveyor and they developed the cameras that were carried on Mars Polar Lander, Mars Climate Orbiter,2001 Mars Odyssey, Mars Reconnaissance Orbiter and Phoenix lander. One of the most successful of their instruments to date was the Mars Observer Camera, from that date until November 2006, the MOC took more than 243,000 images of Mars, some at very high resolution. Among the MOCs notable successes was the imaging of the sites of the two Mars Exploration Rovers. Even before they landed, images from the MOC were very useful in picking the destinations of the two rovers. After more than nine years of duty, the Mars Global Surveyor ceased sending data back to Earth and it is now lost along with all its instruments. The Mars Science Laboratory was launched in 2011 and it carries three MSSS cameras, the MastCam is the main camera on board taking still and motion images of the surroundings. The HandLens Imager is on the instrument arm and provides close up images of martian soil, finally the Mars Descent Imager provided high resolution images of the ground during descent. In December 2004, MSSS was selected to provide three cameras for the Lunar Reconnaissance Orbiter mission, under contract to Northwestern University, The MSSS has developed JunoCam for the Juno Jupiter Mission, which launched in 2011. In July 2014, NASA announced the selection of the Mastcam-Z proposal for the upcoming Mars 2020 rover mission and it is an improved zoom version of the original MastCam. 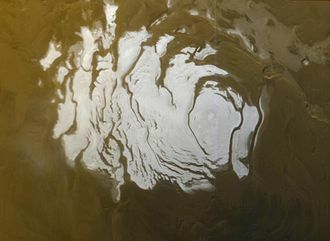 In June 2000, evidence for water currently under the surface of Mars was discovered in the form of flood-like gullies, the question that was immediately asked was, is this an ongoing process or is this ancient and simply well preserved evidence of water/liquid flow. The power technology that MGH proposed to use was the ASRG. NASA finished the ASRG design and made one test unit of the device, neither InSight nor any of the next Discoverys semi-finalists use the ASRG or an RTG due to high demand and limited supply of the type of plutonium it relies on. One of the first unmanned spacecraft to do a hop was Surveyor 6 lunar lander. Another possibly for a mission may be Saturns moon Enceladus. Hoppers are noted for their ability to visit different landing sites. 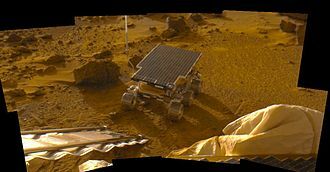 Another hopper-type mission was the Comet Hopper, which won a Discovery semi-finalist award to study a hopping mission to the Comet 46P/Wirtanen, there was some speculation in 2012 that the Geyser Hopper mission could be flown after the InSight Mars lander. The mission was projected to cost $350 million USD and to meet a cost cap of no more than $425 million USD and it must have a March 1,2016 launch date requirement to land during the Mars southern summer. Martian geysers are unlike any terrestrial geological phenomenon, all current geophysical models assume some sort of geyser-like activity. Their characteristics and formation process are still a matter of debate and this process is rapid, observed happening in the space of a few days, weeks or months, a growth rate rather unusual in geology – especially for Mars. The primary mission duration, starting from launch, is 30 months, the spacecraft will enter the atmosphere, and make a rocket-powered soft landing in a region of the south pole where geysers are known to form. This landing will take place during the summer, when the surface is free of ice. The predicted landing ellipse is 20 by 50 kilometres and hence the landing will be targeted to a region, during the first post-landing phase, it will conduct science operations to characterize the landing site, to understand the surface geology of the area during the ice-free summer period. The spacecraft will stow its science instruments and re-ignite the engines for a first hop of a distance of up to 2 kilometers. This hop is designed to place the lander in a location where it can directly probe the geyser region, once again, the spacecraft will stow its instruments and activate the engines for a second hop, a distance of ~100 meters. Mars 96 was a failed Mars mission launched in 1996 to investigate Mars by the Russian Space Forces and not directly related to the Soviet Mars probe program of the same name. After failure of the second burn, the probe assembly re-entered the Earths atmosphere, breaking up over a 200-mile long portion of the Pacific Ocean, Chile. The Mars 96 spacecraft was based on the Phobos probes launched to Mars in 1988 and they were of a new design at the time and both ultimately failed. It was, however, an ambitious mission and the heaviest interplanetary probe launched up to that time. The mission included an orbiter, surface stations and surface penetrators, the mission included a large complement of instruments provided by France, other European countries and the United States. 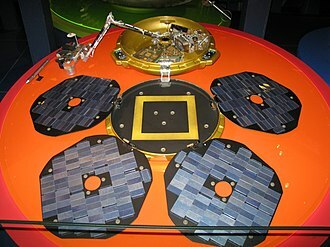 Similar instruments have since flown on Mars Express, launched in 2003. Its project scientist was Alexander Zakharov, Mars 96 was intended to solve several problems concerning our understanding of Mars. The scientific goal of the mission was to analyze the planets history of its surface, atmosphere. The Mars Orbiter Mission, called Mangalyaan, is a space probe orbiting Mars since 24 September 2014. It was launched on 5 November 2013 by the Indian Space Research Organisation and it is Indias first interplanetary mission and ISRO has become the fourth space agency to reach Mars, after the Soviet space program, NASA, and the European Space Agency. It is the first Asian nation to reach Mars orbit, the Mars Orbiter Mission probe lifted-off from the First Launch Pad at Satish Dhawan Space Centre, Andhra Pradesh, using a Polar Satellite Launch Vehicle rocket C25 at 09,08 UTC on 5 November 2013. The launch window was approximately 20 days long and started on 28 October 2013, the MOM probe spent about a month in Earth orbit, where it made a series of seven apogee-raising orbital manoeuvres before trans-Mars injection on 30 November 2013. After a 298-day transit to Mars, it was inserted into Mars orbit on 24 September 2014. The mission is a demonstrator project to develop the technologies for designing, management. It carries five instruments that will help advance knowledge about Mars to achieve its secondary, on 23 November 2008, the first public acknowledgement of an unmanned mission to Mars was announced by then-ISRO chairman G. Madhavan Nair. The MOM mission concept began with a feasibility study in 2010 by the Indian Institute of Space Science, the government of India approved the project on 3 August 2012, after the Indian Space Research Organisation completed ₹125 crore of required studies for the orbiter. The total project cost may be up to ₹454 crore, the satellite costs ₹153 crore and the rest of the budget has been attributed to ground stations and relay upgrades that will be used for other ISRO projects. Launch opportunities for a fuel-saving Hohmann transfer orbit occur every 26 months, assembly of the PSLV-XL launch vehicle, designated C25, started on 5 August 2013. 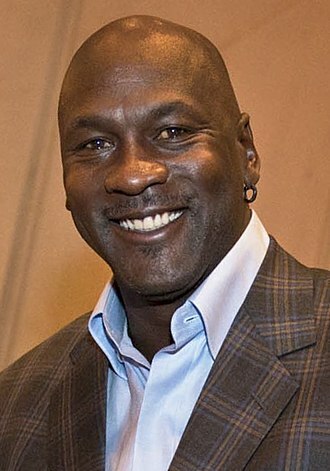 The satellites development was fast-tracked and completed in a record 15 months, despite the US federal government shutdown, NASA reaffirmed on 5 October 2013 it would provide communications and navigation support to the mission. It formed part of the Mars Surveyor 98 mission. On December 3,1999, after the descent phase was expected to be complete, as part of the Mars Surveyor 98 mission, a lander was sought as a way to gather climate data from the ground in conjunction with an orbiter. NASA suspected that a quantity of frozen water may exist under a thin layer of dust at the south pole. In planning the Mars Polar Lander, the water content in the Martian south pole was the strongest determining factor for choosing a landing location. The Mars Polar Lander carried two small, identical impactor probes known as Deep Space 2 A and B. The probes were intended to strike the surface with a velocity at approximately 73°S 210°W, to penetrate the Martian soil. However, after entering the Martian atmosphere, attempts to contact the probes failed, the spacecraft measured 3.6 meters wide and 1.06 meters tall with the legs and solar arrays fully deployed. The base was constructed with an aluminum honeycomb deck, composite graphite epoxy sheets forming the edge. During landing, the legs were to deploy from stowed position with compression springs and absorb the force of the landing with crushable, each of these components included redundant units in the event that one may fail. Orientation of the spacecraft was performed using redundant Sun sensors, star trackers, during descent, the lander used three clusters of pulse modulated engines, each containing four 266-newton hydrazine monopropellant thrusters. The lander was launched with two tanks containing 64 kilograms of propellant and pressurized using helium. Each spherical tank was located at the underside of the lander and provided propellant during the cruise, during the cruise stage, communications with the spacecraft were conducted over the X band using a medium-gain, horn-shaped antenna and redundant solid state power amplifiers. For contingency measures, a low-gain omni-directional antenna was included, the lander was originally intended to communicate data through the failed Mars Climate Orbiter via the UHF antenna. The spacecraft encountered Mars on a trajectory that brought it too close to the planet, causing it to pass through the upper atmosphere and disintegrate. In 1994, the Panel on Small Spacecraft Technology was established to set guidelines for future miniature spacecraft, the panel determined that the new line of miniature spacecraft should be under 1000 kilograms with highly focused instrumentation. In 1995, a new Mars Surveyor program began as a set of missions designed with limited objectives, low costs, the first mission in the new program was Mars Global Surveyor, launched in 1996 to map Mars and provide geologic data using instruments intended for Mars Observer. Following Mars Global Surveyor, Mars Climate Orbiter carried two instruments, one intended for Mars Observer, to study the climate and weather of Mars. The Mars Climate Orbiter bus measured 2.1 meters tall,1.6 meters wide and 2 meters deep, the internal structure was largely constructed with graphite composite/aluminum honeycomb supports, a design found in many commercial airplanes. With the exception of the instruments and main engine. The spacecraft was 3-axis stabilized and included eight hydrazine monopropellant thrusters, orientation of the spacecraft was determined by a star tracker, two Sun sensors and two inertial measurement units. Orientation was controlled by firing the thrusters or using three reaction wheels, to perform the Mars orbital insertion maneuver, the spacecraft included a LEROS 1B main engine rocket, providing 640N of thrust by burning hydrazine fuel with nitrogen tetroxide oxidizer. The spacecraft included a 1. 3-meter high-gain antenna to transceive data with the Deep Space Network over the x-band, the radio transponder designed for the Cassini–Huygens mission was used as a cost-saving measure. It included a two-way UHF radio frequency system to relay communications with Mars Polar Lander upon a landing on December 3,1999. 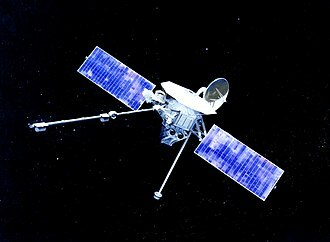 The space probe was powered with a 3-panel solar array, providing an average of 500 W at Mars, the solar array measured 5.5 meters in length. Artist concept showing sand-laden jets erupt from geysers on Mars, producing 'dark dune spots'. (published by NASA; artist: Ron Miller.